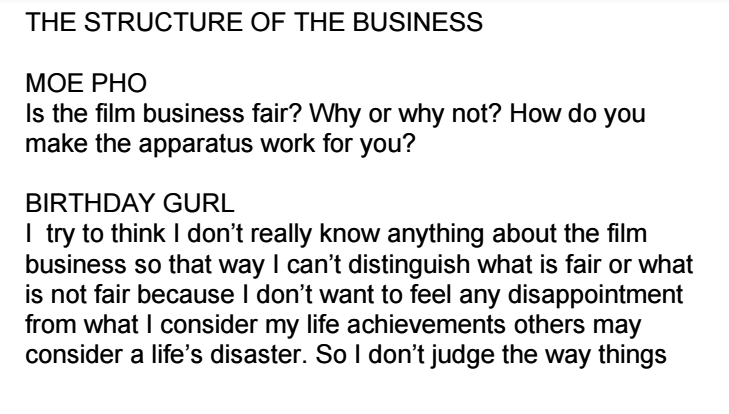 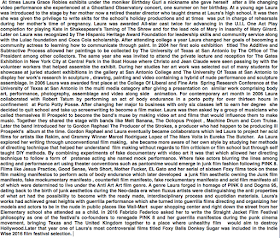 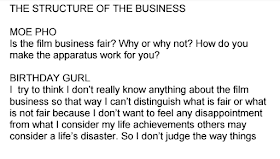 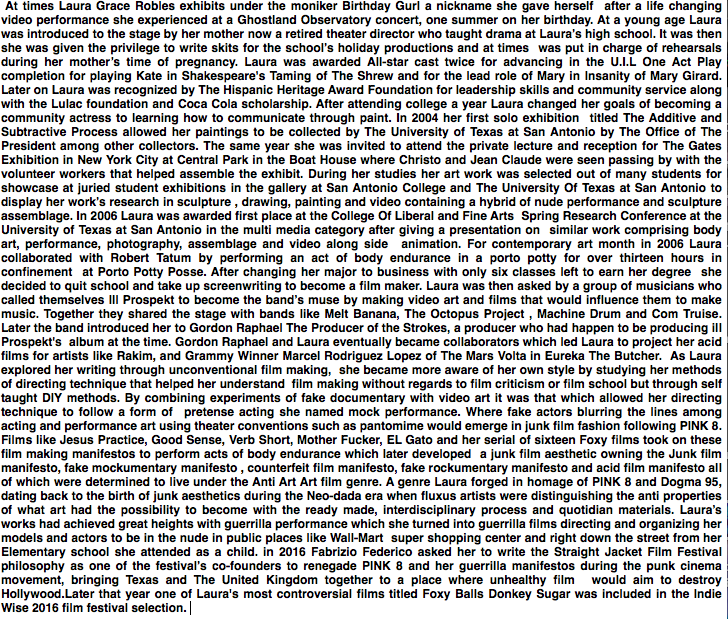 Laura Grace Robles is Birthday Gurl a San Antonio video artist who takes the anti film making approach to presenting moving imagery to become Anti-Art film as a contradictory to cinematography. 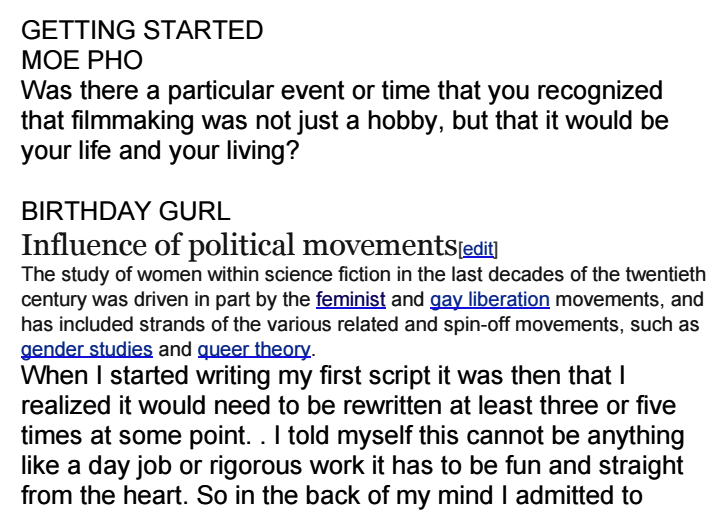 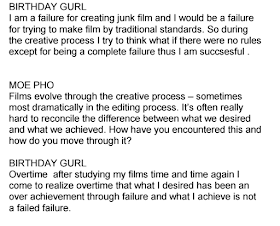 By superseding the camera B Gurl manipulates video, by using real time video performances and video synthesis. 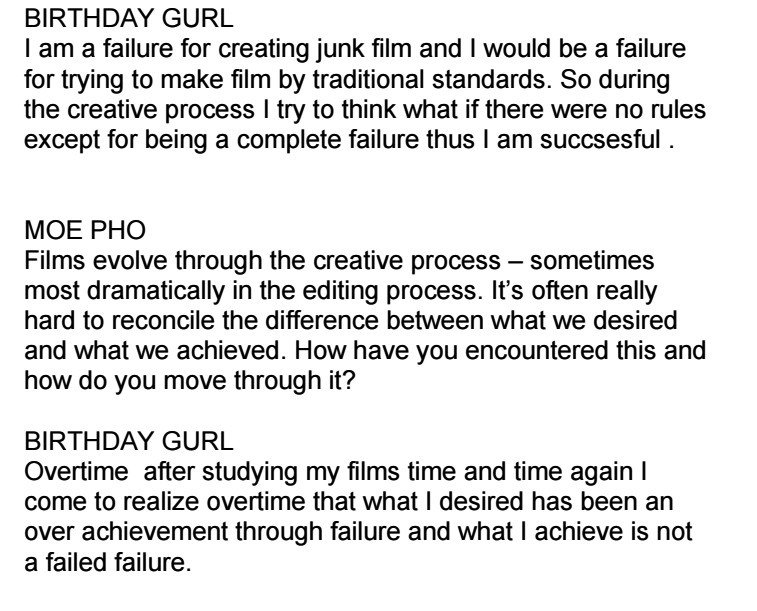 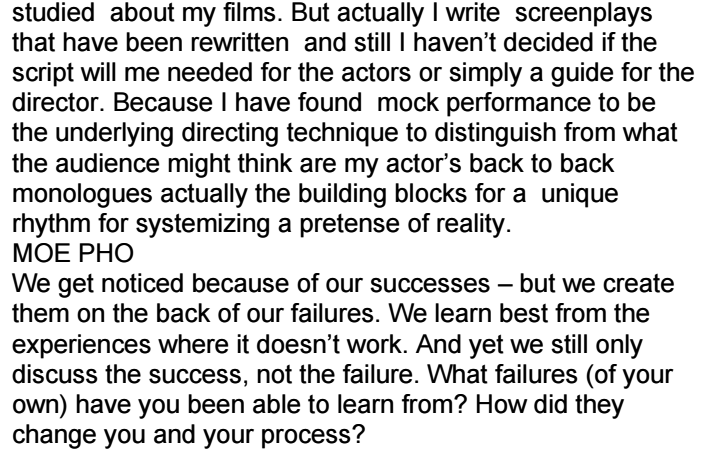 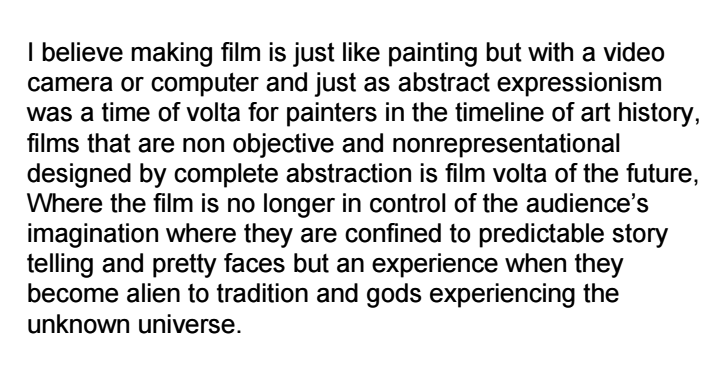 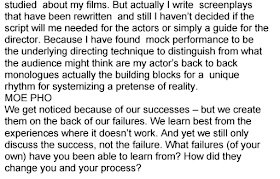 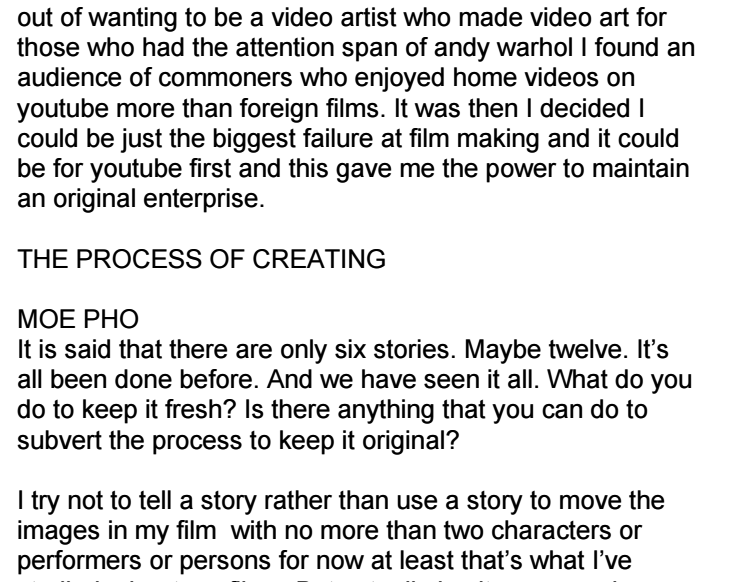 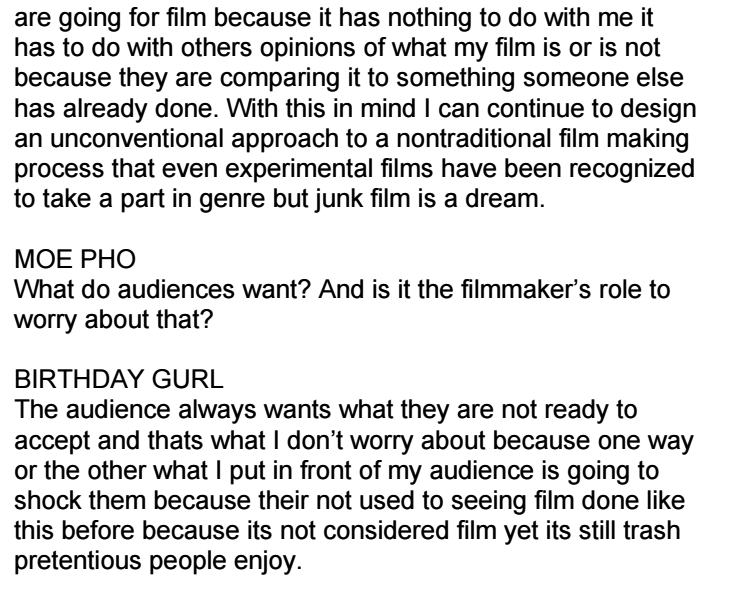 Robles explores the anti film making process which she derives from her methods stated in her Anti-Art film making manifestos of conceptual ideologies. 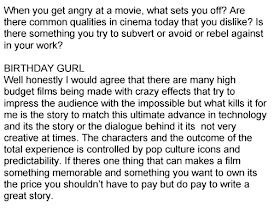 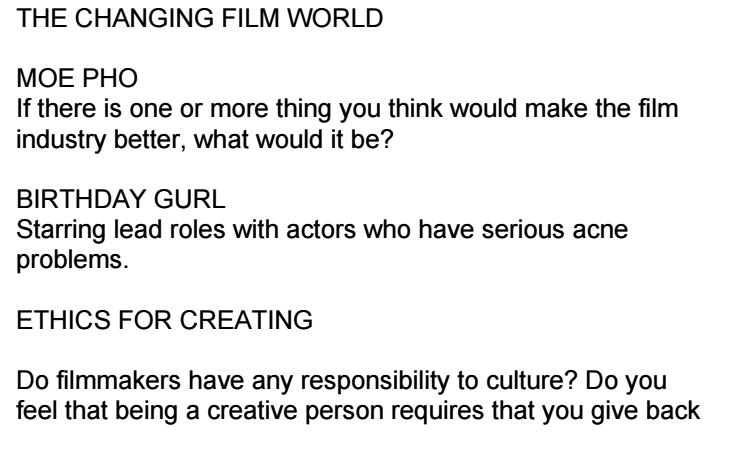 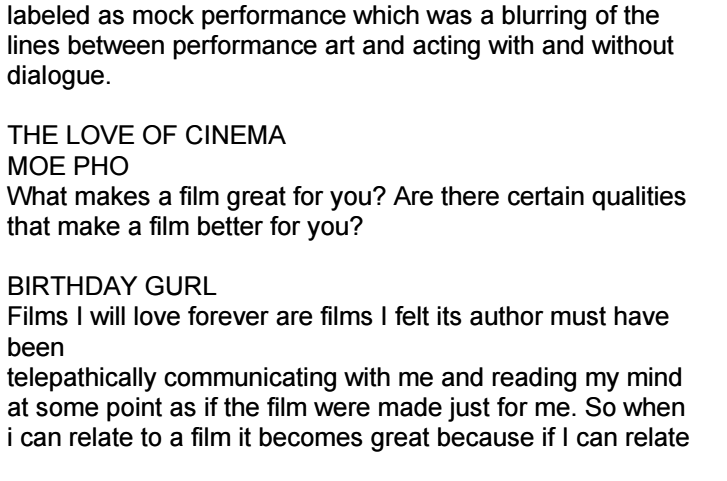 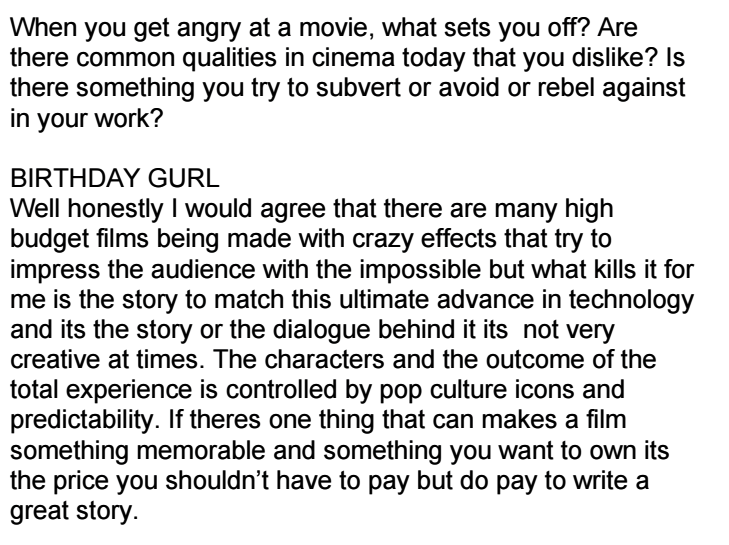 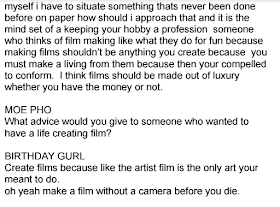 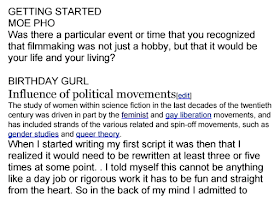 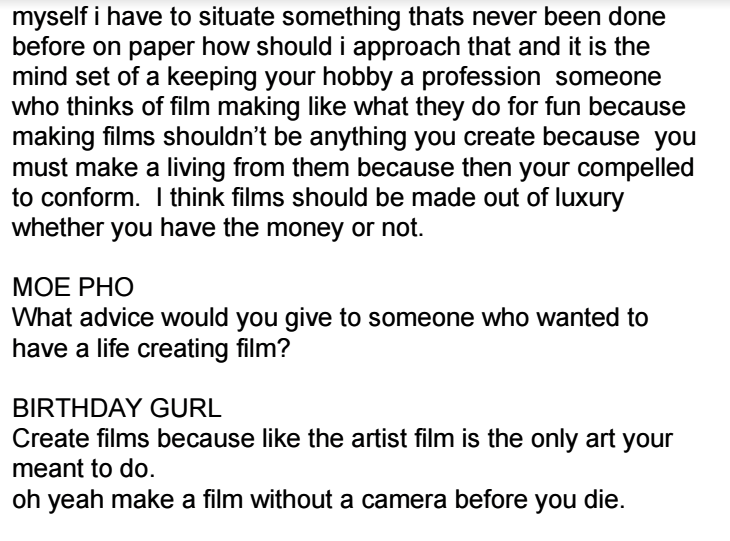 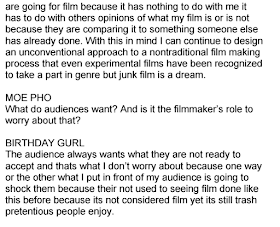 B Gurl forges film genre innovation by encouraging, taking risk by igniting and beginning an anti film genre, that breaks traditions as visual media art. 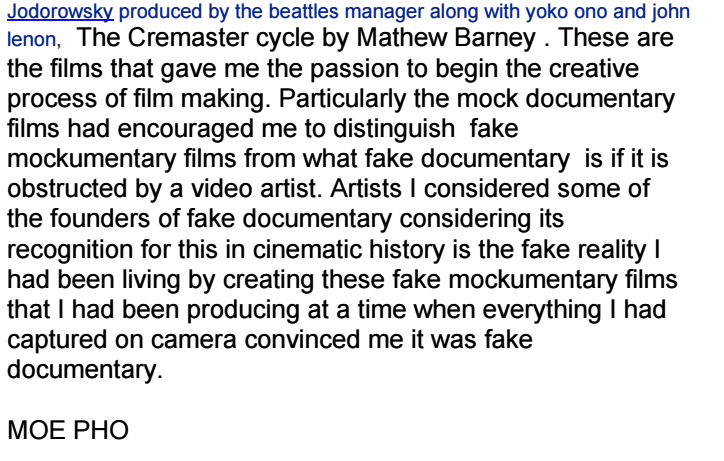 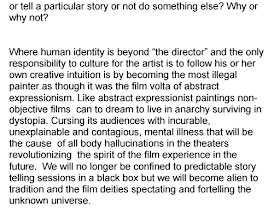 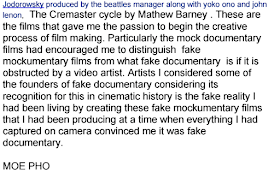 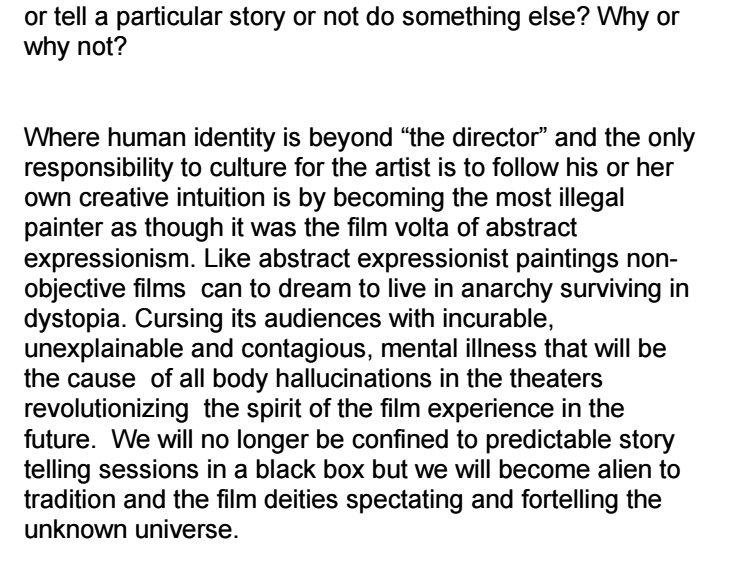 The artits’s unconventional film making manifestos such as the Acid Film Manifesto, Junk Film Manifesto, Fake Mockumentary manifesto and Counterfeit film manifesto which B Gurl pays homage to the UK New Punk Cinema movement honoring, Dogma 95 and Pink 8 to be apart of the new punk cinema movement. 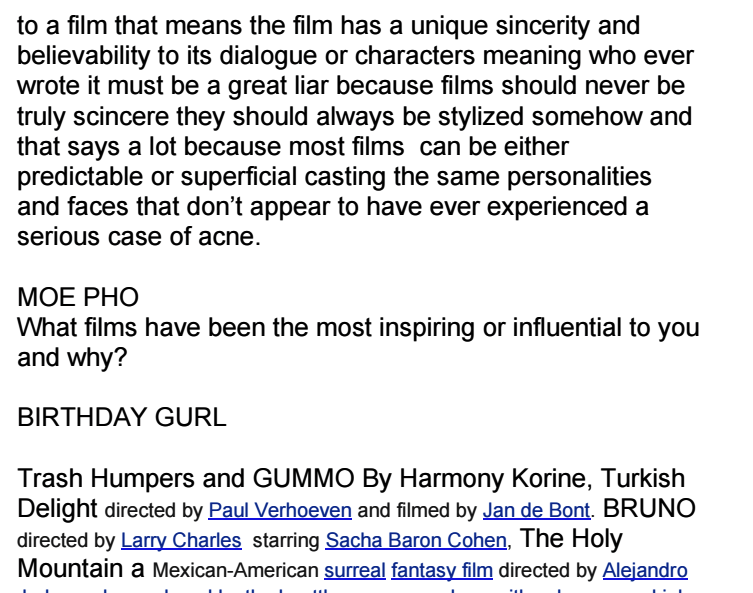 In 2016 Robles and Fabrizio Federico founded The Straight Jacket Guerrilla Film Festival, an online festival that unites Texas and The United Kingdom by representing a collective of unhealthy films that irresponsibly aim to destroy Hollywood. Robles uses video installation and single channel projection to showcase her Anti-Art Acid films during live musical performances by her musical project Anti-Beauty and other national acts like Hip Hop Legend Rakim, the Producer of The Strokes and Grammy winner Marcel Rodriguez Lopez keyboard player of the Mars Volta. 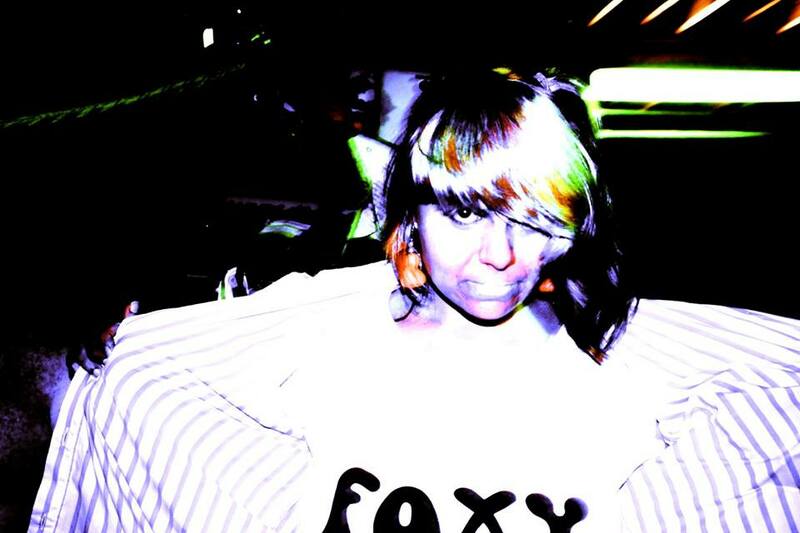 She has also showcased her films by sharing the stage with Com Truise, The Octopus Project and Machine Drum. 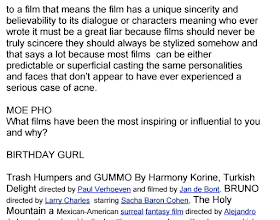 Birthday Gurl has appeared in two foreign anti art films titled Pregnant directed by Fabrizio Federico and Mondo Lizard a film about anti film makers directed by Rubber Cripple both directed in the United Kingdom.